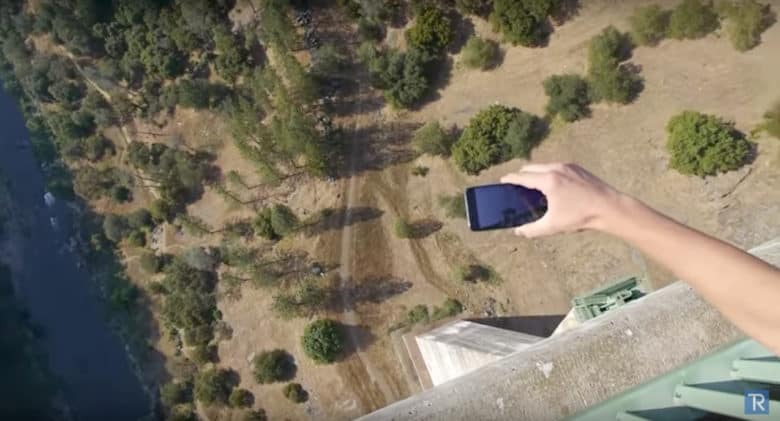 Remember Bendgate, the massively overblown period following the iPhone 6’s release, in which people acted like Apple’s handset was about as sturdy as a slice of processed cheese? Well, destructive YouTuber TechRax is back with a new “stress test” designed to see how the studier iPhone 6s fares against 3,500 pounds of pressure. Answer: nNt very well at all. If, to paraphrase Fight Club, you want to see out 2015 by watching the destruction of something beautiful, check out the video below. 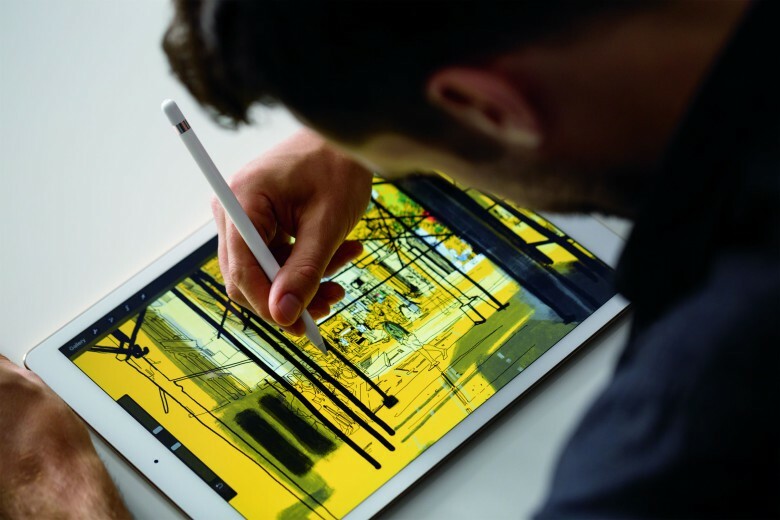 The Apple Pencil is surprisingly tough. Destructive YouTuber TechRax is like the Tyler Durden id to our tech-loving superego — constantly wanting to destroy something beautiful because, you know, who hasn’t briefly wondered what would happen if you stuck your iPhone in a lava lamp or if you used to magnets to crush a $10,000 Apple Watch Edition? TechRax’s latest stunt? Shoving an Apple Pencil in an electric pencil sharpener. Check it out below. Burnoutgate? Hey, let's be honest -- it wouldn't have been any worse than bendgate. 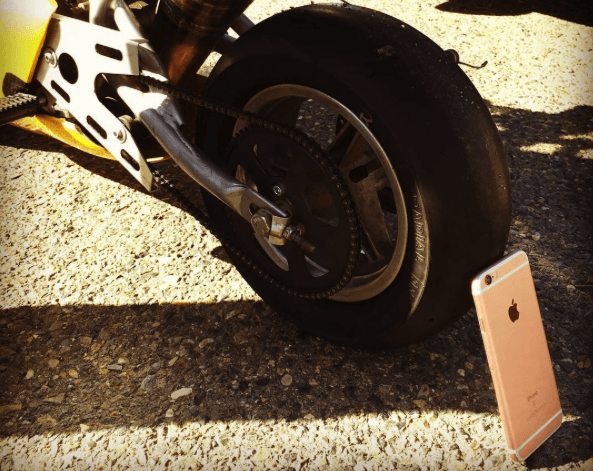 What happens when a rose gold iPhone 6s undergoes a bizarre “burnout” stress test beneath the wheels of an Italian Ducati pocket bike? A completely implausible scenario that would never in a million years happen to a handset in the real world, that’s what! 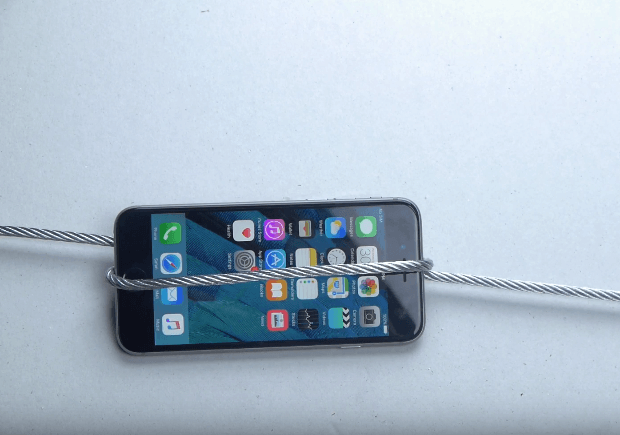 But, hey, if seeing brand new iPhones destroyed in bizarre ways is what gets your engines revving, click below for the oddly-compelling video. Yep, this is pretty much a horror movie for any Apple designer. Next to his favorite Bentley getting into a scrape, there can be few things which sound more likely to give Jony Ive nightmares than a chemical element capable of causing the catastrophic structural failure of aluminum. Unfortunately for Jony, that chemical — referred to as gallium — not only exists, but has somehow gotten into the hands of oddball YouTube stress tester TechRax. 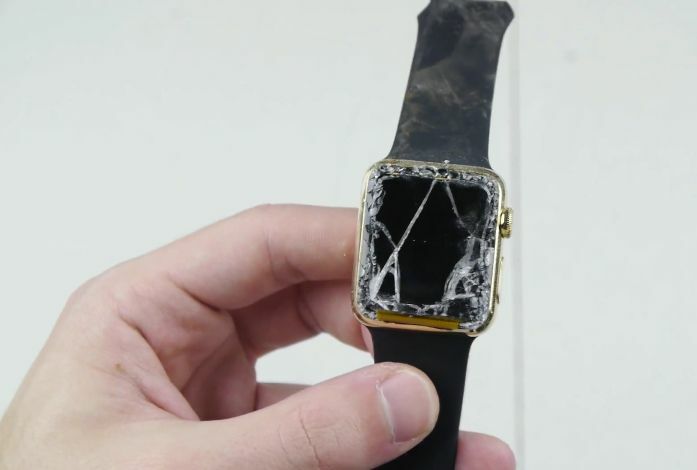 All in the name of clicks science, TechRax has previously established himself as enemy number one to Apple’s Industrial Design team — doing everything from assaulting new iPhones with DeWalt angle grinders to crushing an Apple Watch Edition between two magnets. 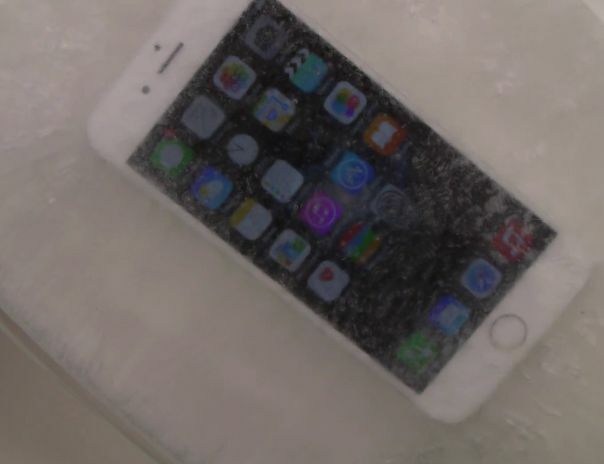 Check out the video below to see how the aluminum iPhone 6 manages against its toughest challenge yet. With strong reviews and positive word of mouth behind both the iPhone 6 and the Samsung Galaxy S6, the battle between the two flagship devices is what the smartphone-watching world deserves. But there’s one more question that precisely nobody’s been asking up until now: Which one would survive longer in a tub of boiling water? Yep, as wacky stress tests go, you can forget about accusations of bending — this one takes the cake. You know what they say about putting your iPhone 6 in a lava lamp: it’s all good fun until something explodes in someone’s eye. The someone in question is a colleague of TechRax, the Ukrainian YouTuber who hides behind the veil of supposed tech expert to run his seemingly limitless iPhone collection through a series of oddball endurance tests; the kind of thing that would be considered Turner Prize-worthy conceptual performance art were we not convinced he’s deadly serious. 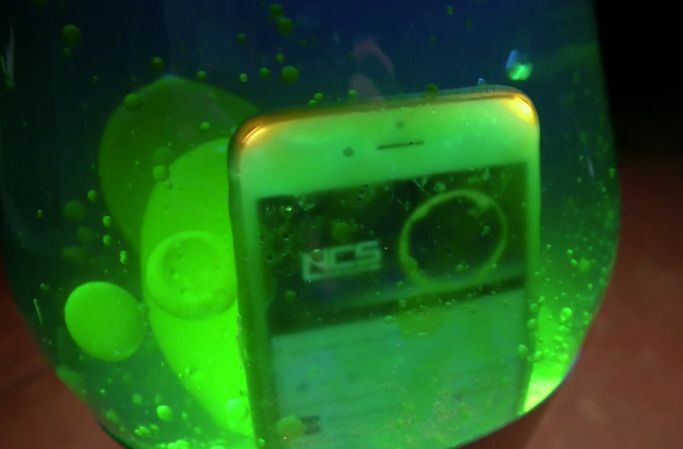 Having previously buried iPhones in snow and assaulted them with DeWalt angle grinders to see how they react, this time he gives his Apple smartphone the 1970s treatment to see what would happen if a person accidentally dropped it into an open lava lamp. You know, as you do. Jony Ive never prepared for this. I’ve always found the fetishistic quality of unboxing videos to be a bit strange, if I’m honest. Even weirder, though, are the quasi-sadomasochistic videos unleashed by “stress testers” like YouTube’s seemingly damaged Ukrainian tech lover hater TechRax, whose videos watch like an Apple ad directed by the Marquis de Sade. Fifty Shades of Space Gray, amirite? Anyway, TechRax’s latest video shows an innocent young iPhone 6 meeting its maker at the hands of some former soda cans heated into a hot liquid using a mini-furnace. 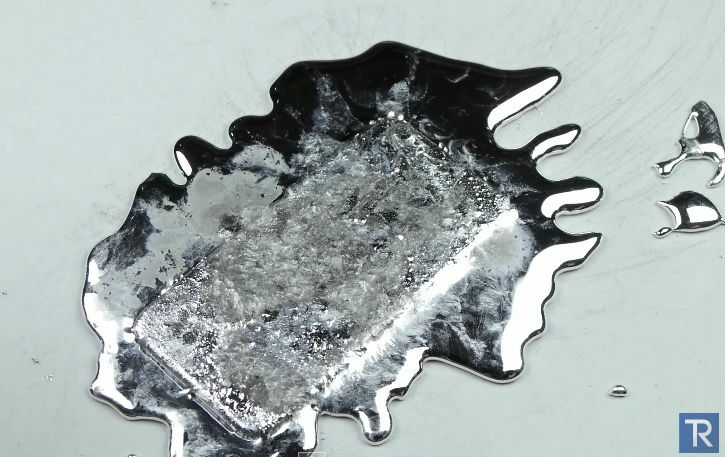 If you’ve wondered whether it’s a good idea to store your beloved Apple handset in the same drawer as a puddle of molten metal, you’ll get your answer after the jump. One day someone is going to come along and write a paper on the psychology of tech fans who will queue up for hours to get the latest smartphone, and then log onto the Internet to watch it getting destroyed. When they do, at least several chapters will be dedicated to Ukrainian YouTuber TechRax, whose channel on the video sharing website shows the iPhone being pitted against everything from angle grinders to boiling Coca-Cola. Today’s “stress test” for Apple’s record-breaking iPhone 6? No less than a bath of molten sodium acetate, a.k.a. hot ice: the substance found in hand warmers. And, amazingly, it survives intact.